1. Out-of-the box patterns can be super pretty. Different and new patterns don't have to be tacky. This pretty geometric creation almost makes a chevron shape. 2. Take it back to geometry class. 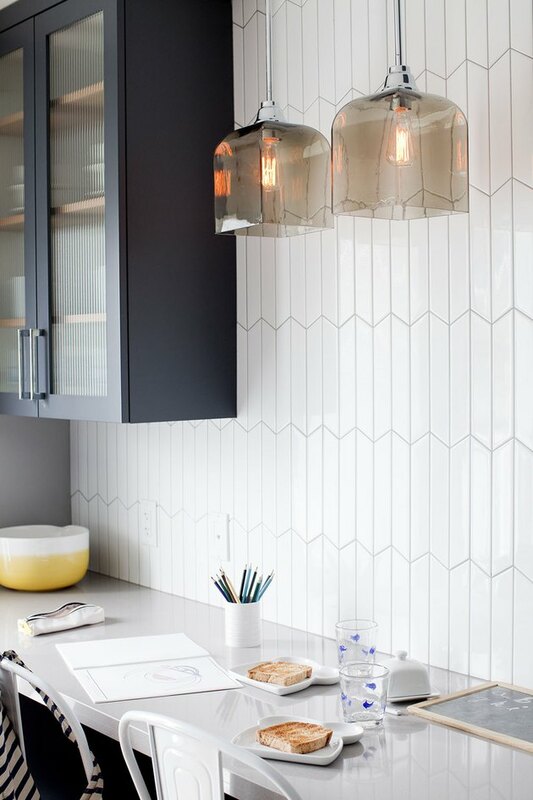 This backsplash has a 3-D look thanks to diamond-shaped tiles and dark grout. 3. Modify a traditional shape. These hexagons have lines connecting each corner within. Why not mix it up? 4. Try teeny, tiny hexagons. 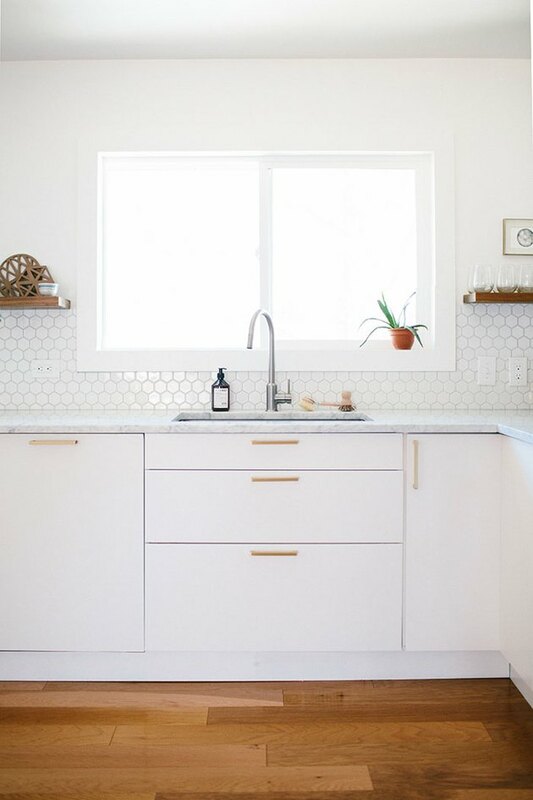 A backsplash with tiny tiles can be super dainty and special, not boring. 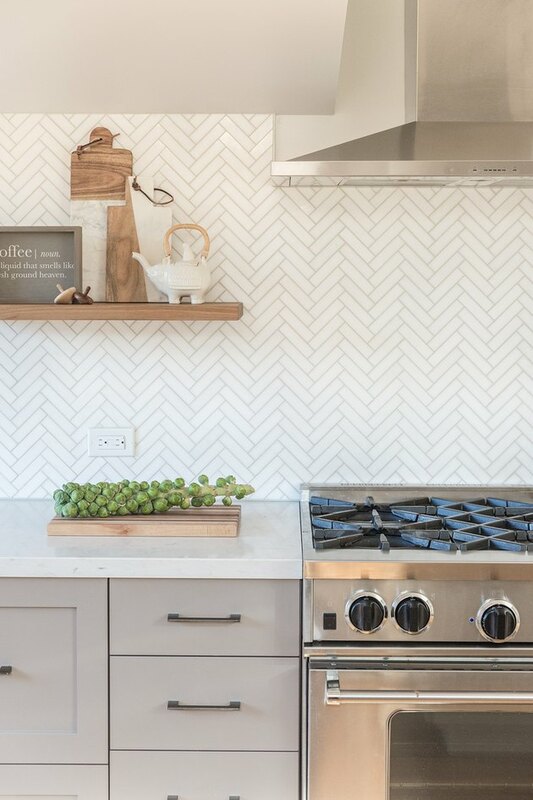 No need to call Missoni, but chevron is definitely a good backsplash look. 6. Add in an accent color. 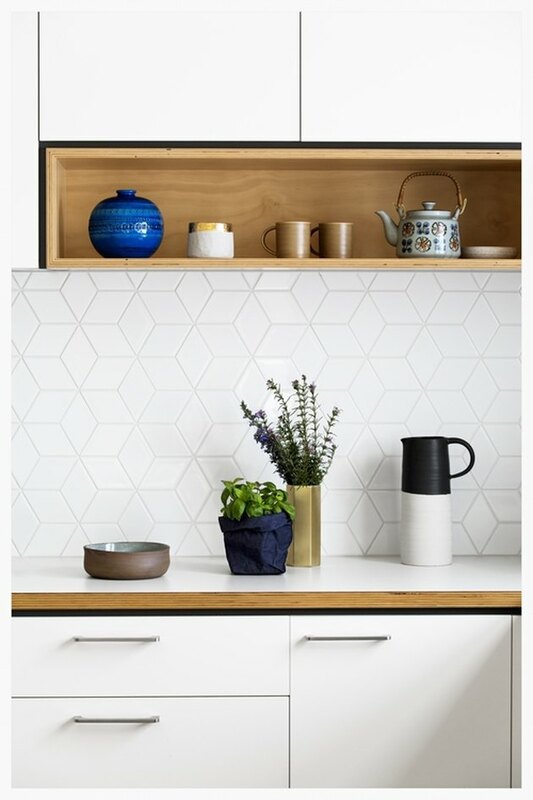 Adding a couple of black tiles to create a backsplash pattern is super chic, super unique... all the good things. 7. Big hexagons look cool, too. Large prints make a great statement, especially if your kitchen is plain and needs some personality. 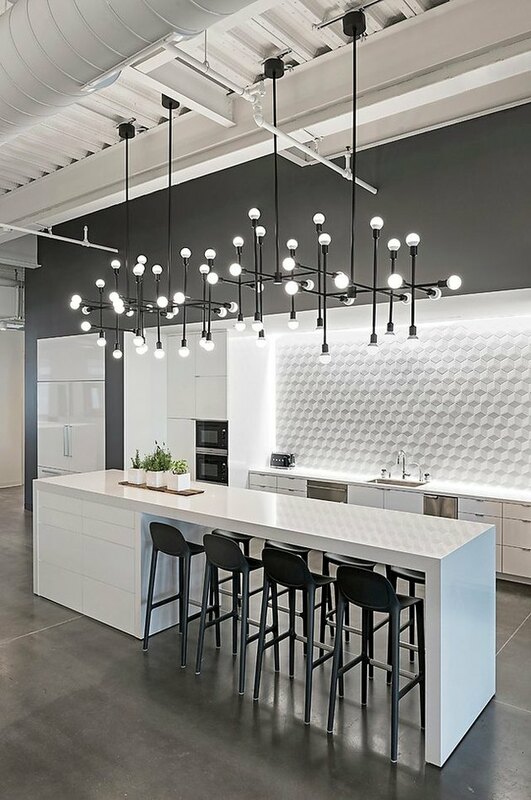 A printed backsplash isn't the only way to add visual interest. This textured look is undeniably cool. 9. 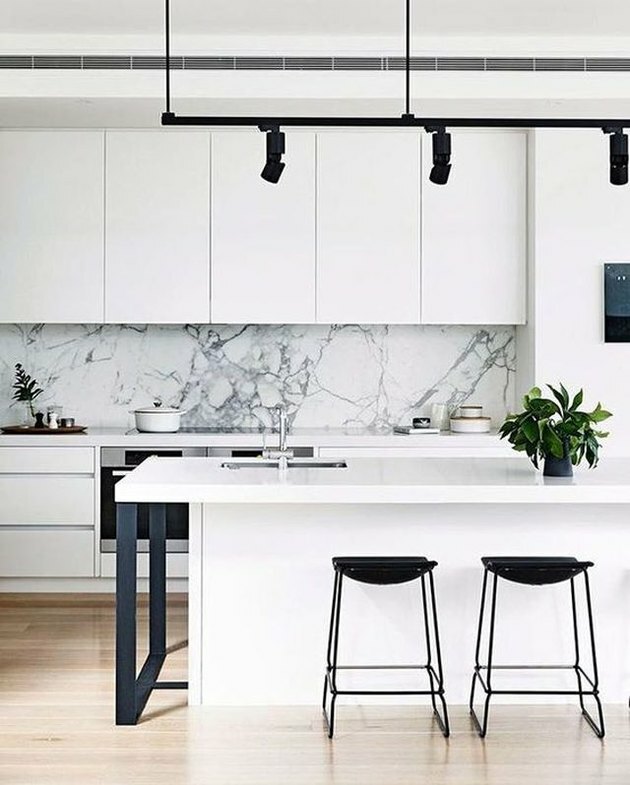 Unfinished backsplashes are totally on-trend. How cute is this? 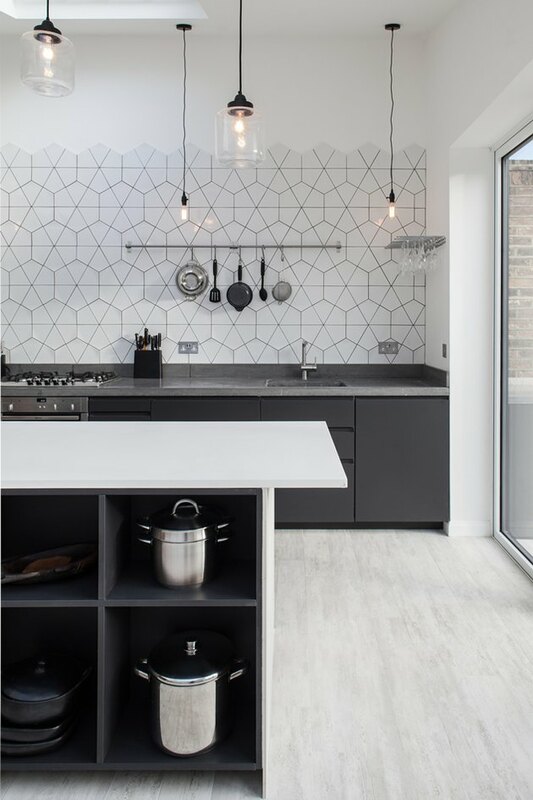 Unfinished backsplashes look awesome with a variety of different prints. Plus, you'll save some money on backsplash materials. A win-win. 10. 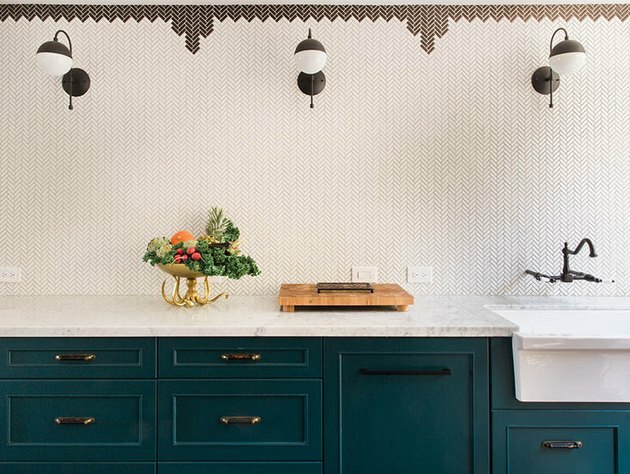 Fish scale backsplashes are mermaid-chic. 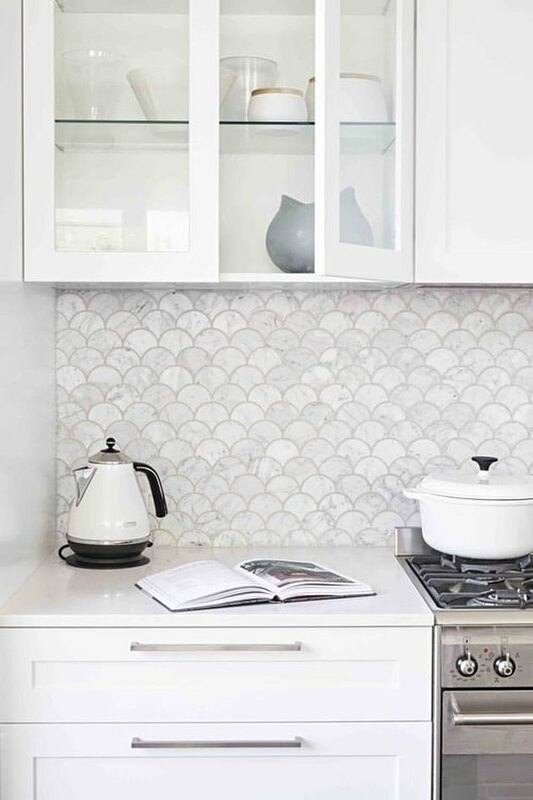 There's nothing fishy about installing a fish scale-inspired backsplash. It's simple, yet immediately adds personality to your kitchen. 11. Experiment with white marble tile. 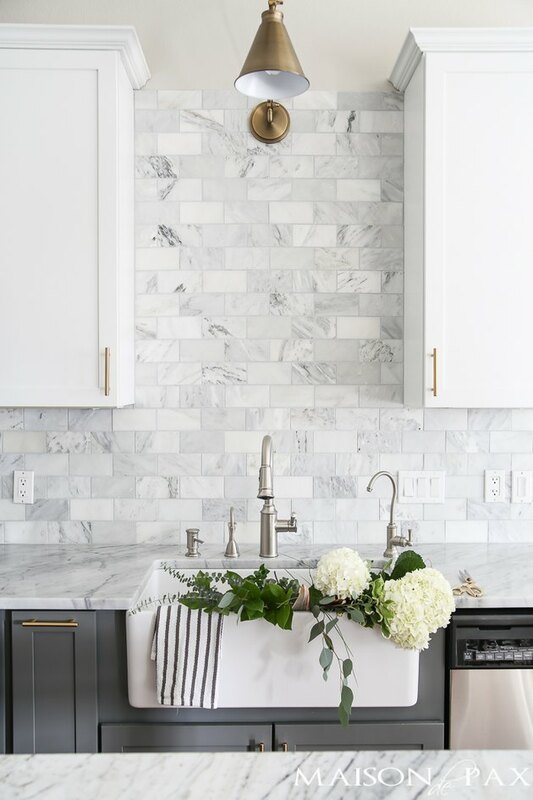 Everyone has been marble crazy this year, so by all means, bring the trend into your backsplash as well. 12. Or just bring on a big slab of marble. Simple, beautiful, and timeless. Plus, you won't have to worry about arranging a complicated print. 13. 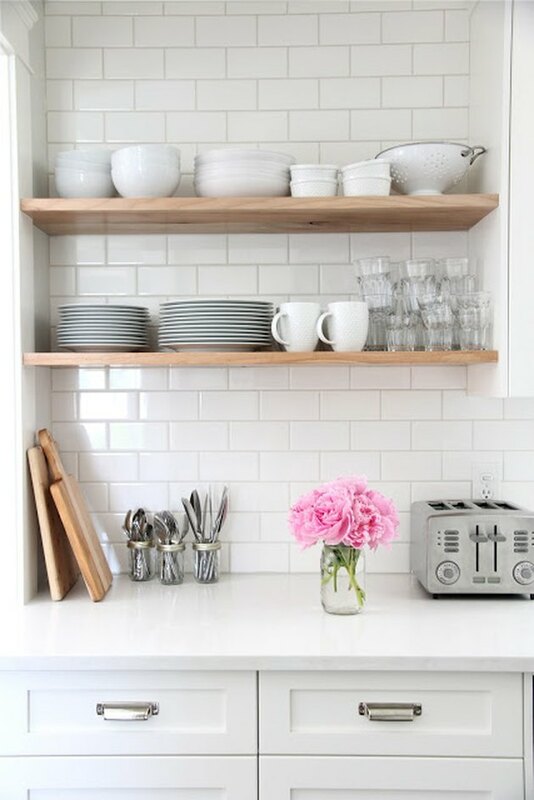 When in doubt, you can't go wrong with simple, classic, white subway tile. 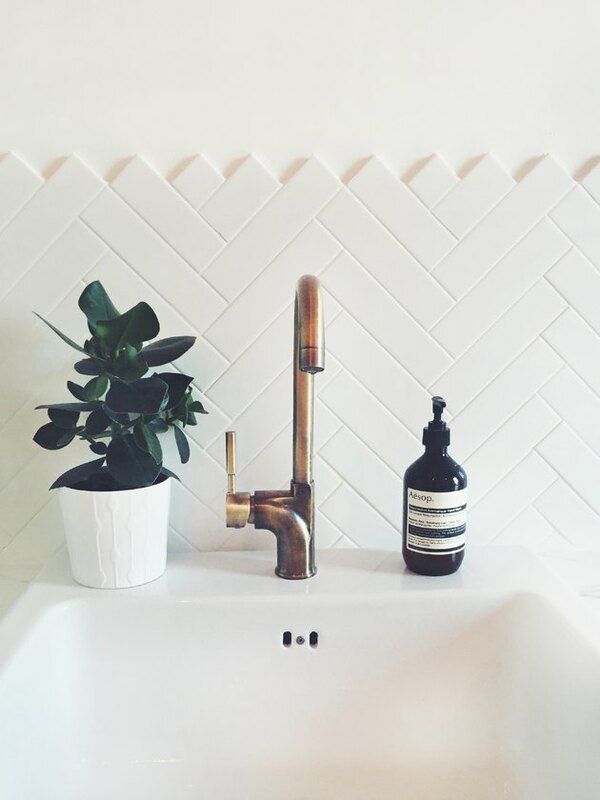 We're not saying there's anything wrong with plain subway tile! If you're just feeling a bit overwhelmed, this look is guaranteed to look clean and nice.